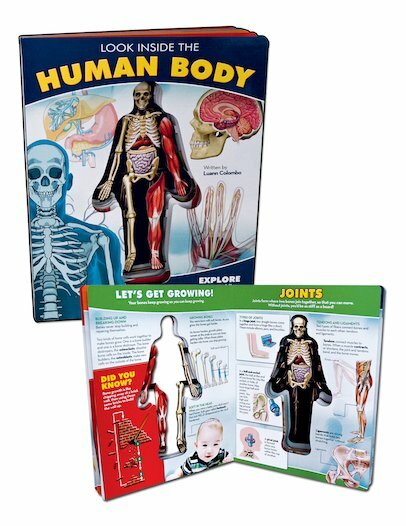 Peel away the layers in this book of cool cutaways to get an X-ray picture of how your body works! Created with eye-opening paper technology, this book lets you get deep inside your body machine. Each time you lift a page, you travel further into the body, from skin and muscles to bones, and then to the vital organs: the lungs, liver, kidney and heart. Surrounding the cut-out sections on each page are heaps of diagrams, explanations, illustrations and quick facts. See how broken bones heal themselves. Find out how fast a sneeze travels. Dig deep inside your body and see how much you can learn!